" Wonderful stay in a truly superb house. Beach retreat really is a treat. We found it warm, toasty, cosy and luxurious. Room for everyone and full of character." " A house with a soul in a beautiful location, directly on the beach. Ideal for a large group. The kitchen is very well equipped and makes cooking fun. Bedrooms in different sizes and standards and two spacious living rooms inside plus a large terrace looking out on the ocean. Overall a great experience!" This stunning 5 bedroom timber is perfect for a relaxed holiday with direct access to Rototai beach and excellent fishing spots. Set out your nets and have a feast on your catch! 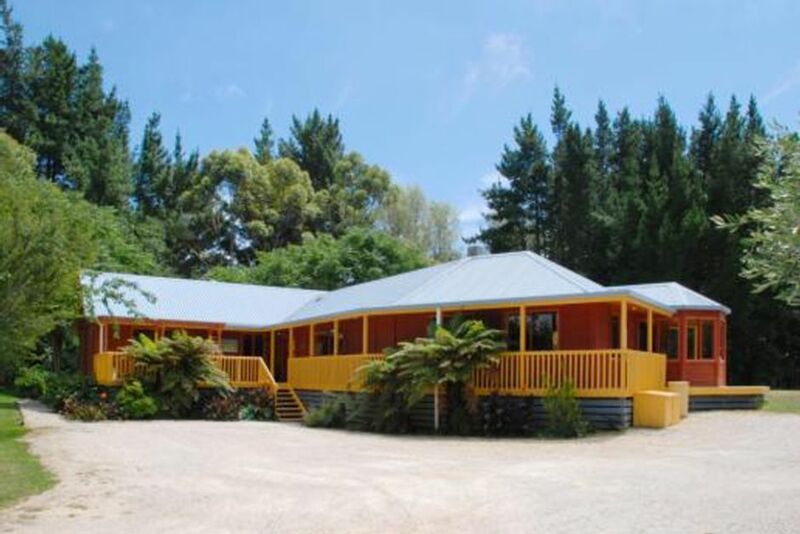 The house is ideally located between Takaka and Pohara and has 5 bedrooms, 3 bathrooms, 3 living areas, a country-style kitchen and has extensive decking. Enjoy being away from home in this fantastic house! The house is prefect for large families or groups to holiday together. Only a few steps away from the (tidal) beach of Rototai which is ideal for a morning or evening stroll, a late night fire, or hours of crab hunting with the kids... Takaka with its many cafes, shops and galleries is only a few minutes drive or a 15 minute bike ride away. This is the place you'd like to stay forever! - If the house is rented by small parties (6 max) only the (beach) front of the house will be made available. The Mountain View Room and Kids Room will not be available then! - Pets allowed outside and by prior arrangement only. Pets allowed outside and by prior arrangement only, and need to be constantly attended and supervised (do not leave alone at the house). No tents without prior arrangement. No parties allowed as this is a residential area. The house is huge and suits a big group. For the price you'd expect 4-5 star accommodation but you're only getting 3-star facilities. The beach is not a swimming beach but great if you like long walks. Awesome large house. Fit our group of three families so easily. The lovely couple next door gave us the key and showed us around. I can’t speak more highly of their warm welcome and farewell. Whilst we stayed the couple were very careful to give us our privacy but were always on hand if we needed anything. Beautiful big house perfect for 9 adults. Loved having the beach on our doorstep. A HUGE house where everyone could gather or get away from each other. Sure it's not a swimming beach but it's not a big deal to get into the car and drive to one of the other great swimming spots. It was worth it to come home at the end of the day and gather on the deck for drinks and board games and lots of laughter. Gorgeous spot. Beach Break is a wonderful property proving enough room for our family plus partners and two grandchildren. A short walk to the beach, which provided opportunities to walk over the mud flats and swim with the incoming and outgoing tides. Our family really enjoyed drifting with the tide. The house provided us with a great setting to enjoy being together, and enjoy being in Golden Bay. Great indoor, outdoor living.